It may be difficult to understand at first—how could something as common as light be considered a pollutant? After all, the day is full of light, so how could a little light at night be a problem? The answer is simply that even a small amount of light can greatly change the essence of night and the natural processes that occur then. Artificial light is a powerful tool that humans wield, only becoming common with the widespread use of Edison’s light bulb. One needs only to glimpse upon on a nighttime view of our planet from space to see how pervasive artificial light is at night. With over half the world population living in urbanized areas, light pollution is a mounting concern. 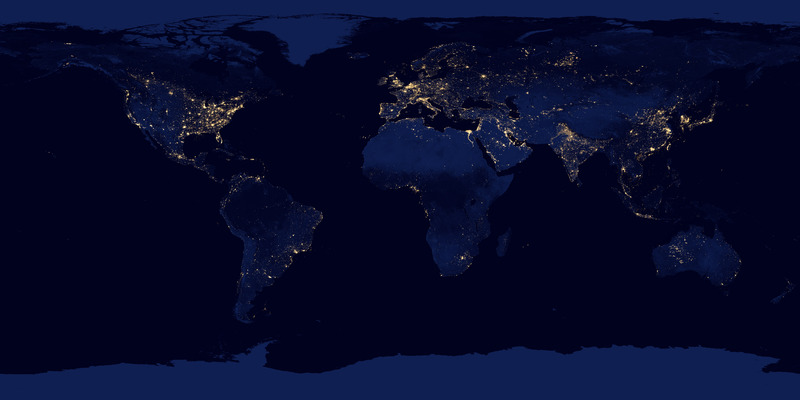 The growth of light pollution has been rapid and widespread. The brightening of the night by outdoor lighting affects a wide range of natural resources as well as human quality of life, and is increasingly targeted by sustainable initiatives. A variety of technical and societal approaches exist to minimize light pollution and conserve energy and have proven effective. Outdoor lighting is deemed necessary for a productive modern society, nonetheless the widespread use of artificial light has substantially altered the natural pattern of darkness. The brightening of the night sky is not limited to urban environments as the glow from cities has been documented by the NPS at distances over 200 miles from national parks. Light Pollution is the introduction of artificial light, either directly or indirectly, into the natural environment. Public awareness of light pollution is generally traced back to vocal amateur and professional astronomers during the 1970s and 1980s, though the writer-naturalist Henry Beston spoke poetically about the loss of natural darkness in his 1928 book “Outermost House.” Light scattered through the atmosphere brightens the night sky, causing stars and faint objects to be rendered invisible due to the reduced contrast. Light pollution also prevents the human eye from fully dark-adapting and reaching its maximum sensitivity. Sometimes, the more light there is at night, the less we can see. Glare is the direct shining of light. Both of these forms can impact human perception of the night sky, natural landscape, and other faint features of the night. 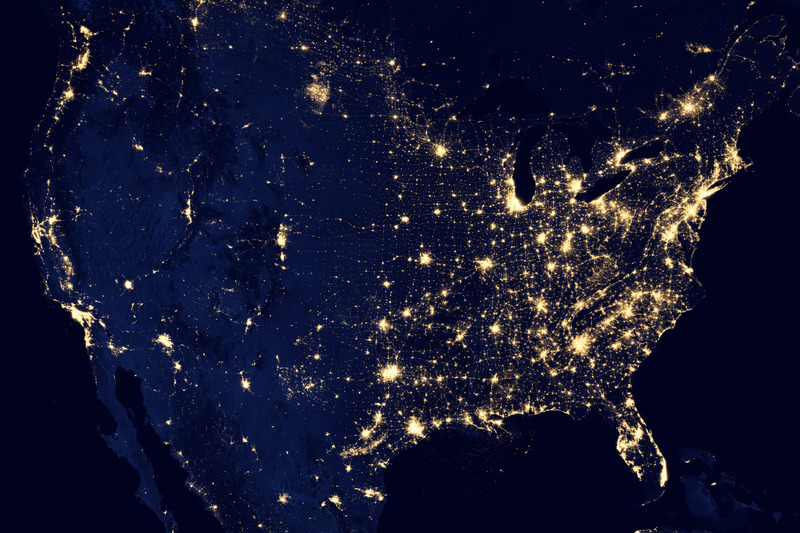 Light pollution tends to be most acute in urban environments, where glare can result in light trespass, have pronounced ecological effects, and potentially influence human circadian rhythms. However, in a remote or otherwise dark environment, the eye adapts to the ambient light level and its sensitivity increases. This results in visual impacts from light pollution being perceived at long distances. Even though the aggregate city light seen from a remote park 50 miles away would seem quite dim to a city-based observer, it is enough to cast obvious shadows and impede visibility for a park-based observer.